London 14 July: A senior figure in the Church of England has described the recent papal encyclical as unlikely to produce the desired reduction in global poverty. In a commentary on Pope Francis’s recent encyclical on the environment, Peter Forster, the Bishop of Chester, and the Labour peer Bernard Donoughue, say while they share the Pope’s deep desire to reduce poverty, they are concerned the very policies advocated by the papal encyclical are more likely to hinder than advance this great cause. The authors are also critical of the failure of Pope Francis to address some of the most pressing moral dilemmas in the environment debate. Peter Forster is Bishop of Chester and Bernard Donoughue is a former special adviser to two Labour Prime Ministers. 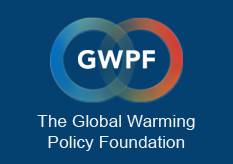 Both are Trustees of the Global Warming Policy Foundation and Members of the House of Lords.